She’s one of the youngest stars on Planet Pop these days and though we weren’t fans of the singer’s first track ‘Whip My Hair’, millions around the world were – including the 44+ million who’ve viewed the official video on Youtube. 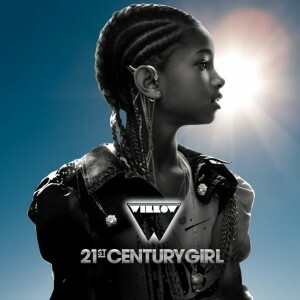 So enter the video for Willow Smith’s second single – ’21st Century Girl’. It opens with a woman wandering through the desert, pausing to unearth what could very well be Willow’s pelvic bone. Then, with a well-placed miniature ukulele and a few beads, the ground begins to shift and a pop star is magically born of the earth. Over 90 seconds in, we get our first taste of the tune as Willow fashions a butterfly, cops a colourful wardrobe change and finds her feet with gusto. If you like Ke$ha, you’ll like this – and let’s hope that this 21st Century Girl doesn’t go the same way as the LAST ONES. ^ Is that you, Charlie?? Obviously Willow has been studying the esoteric sciences taught to her by her awesome Parents Will/JADA and has decided to share the knowledge with the world. This video is really too deep for the sheep, but it wasn’t meant for them it was meant for the other luminaries who represent the Golden Age.